Arnold Patrick, director of the adult probation department in Hidalgo County. EDINBURG — The director of the county’s adult probation department confirmed Thursday that the San Juan mayor, who was employed as a probation officer, is no longer employed at the office as of this past Monday. 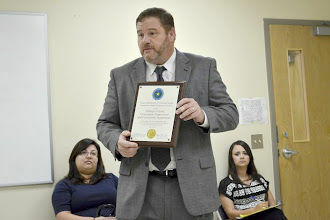 Arnold Patrick, the director of the Hidalgo County Adult Probation office, declined to go into detail about Mario Garza’s separation from the department, specifically whether or not Garza was terminated or resigned Friday, the same day the sheriff’s office announced an investigation into alleged bribery and theft from some probation officers. So far the investigation into alleged bribes taken by probation officers in exchange for favors which was initiated by Patrick after a private citizen approached him about possible indiscretions in his office, has yielded one arrest. Carlos Delafuente, 34, surrendered to authorities Tuesday. Delafuente was formally arraigned by a justice of the peace Tuesday afternoon on one count of abuse of official capacity — a state jail felony punishable with up to two years in county jail. The Monitor has been unsuccessful in its attempts to speak to Garza since last Friday when his name was mentioned along with Delafuente’s in connection with the investigation. 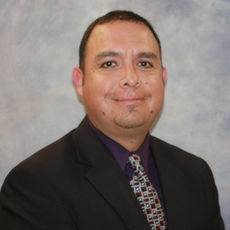 On Wednesday night, after a special city meeting, Garza spoke with KGBT-TV, who reported that Garza had indeed quit Friday after 15 years as a probation officer because he was “burned out,” but did not give additional details, acknowledging that the timing was “so, so wrong,” but claimed he did not take any bribes at any point. Unlike Delafuente, Garza told KGBT he did not submit a resignation letter on Friday but instead just “walked out” and had no plans of returning. Patrick said the internal investigation conducted by his staff did not reveal anything linking Garza to the current bribery and theft investigation. “As far as I know, there is no direct link to (Delafuente) and Mr. Garza, they were separate issues,” Patrick said. Patrick said Garza was made aware of violations of department policy, which are not related to the sheriff’s investigation, but declined to go into details. Despite the bombshell revelation that some of his officers may have been taking bribes, Patrick said he and his staff immediately conducted an inquiry into the allegations against Delafuente, contacted the DA’s office, which then initiated communication with the sheriff’s office. The current investigation began in earnest on May 17, a little over a week after Patrick and his staff were made aware of the allegations against Delafuente. Patrick cautioned against connecting Garza’s exit from his office after 15 years on the job — and on the same day the sheriff’s office made public the investigation into bribes and theft. The director said he understands the frustration from the public, and from his other probation officers, the ones who are honest, and hardworking public servants. Delafuente’s arrest Tuesday upset many current probation officers, who expressed their anger at his alleged actions, which just further reinforces a negative perception of public servants in Hidalgo County.